I'm glad you found a distraction while your mind prepares for surgery. A delightful banner and super tutorial. Can't wait for sandys next swap. I'd love to make a junk in the trunk banner! I'm also curious about the supplies swap. I am loving the different swaps you and she are hosting. I'll have to look back on the blog to see what was done previously. Excited to start laying things aside! Will be praying for your swift recovery from your surgery! I always learn the best hints for crafting over here. I also love how you use every bit in your stash. I'll be thinking of you during your surgery and hope for a quick recovery. I would love to make a junk in the trunk banner. Just found your blog today from Bee in My Bonnet. Good thoughts to you as you wait for surgery...have been there myself and understand the need for diversion. Your ideas ar so fun...I have some vintage cards saved by my Mother and Father in law. What a great way to use them. Lovely banner - I would so love to make one! I wish I had your skills. Happy Easter. Oops, I neglected to include my email for contact. Oh Elizabeth! Thank you so much for this tutorial. I love working with papers but often find myself just globing stuff on and not taking the time to find a place for everything. This will help me so much! I loved your last post as again I am playing catch up. Sometimes I get so obsessed or ocd (obsessive crafting disorder) that I focus on doing one thing and then and only then do I move on. But other times I flit around like a hummingbird. I need to find a happy medium. I loved how you would imitate your favorite actress' role. I use to do the same. Not sure if you remember the Nancy Drew/Hardy boys tv shows but I of course loved playing Nancy. I was also a very bubbly Gidget :) What fun childhood memories you share! I love your shakers. You did a fantastic job on them. And I too think the bunny's teeth are hysterical. When I added them they immediately "made" the bunny character. Thanks so much for always sharing. Can't stop thinking of your upcoming surgery. You are in my thoughts and prayers, Holly ps your spring and fair characters are on my to do list!! You always manage to make every scrap of paper count, Elizabeth! These may not be the papers you are craziest about, but you've made a lovely banner with them. Love the images you've used as well. I was thinking about doing that supply swap. Is there a sign up yet? Counting down: 9 days to Sandy, Meri 'n me in Arizona!!! 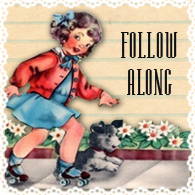 Your embellishments are my favorites, buttons, flowers and vintage pix! I'll be praying you through the surgery and recovery. This is a great tutorial!! Thank you! I am gathering supplies for the State Fair. I want to jpin in so badly! I'll be praying for your surgery tomorrow. All will go perfect! Thanks for showing how you make the white border on the banner! 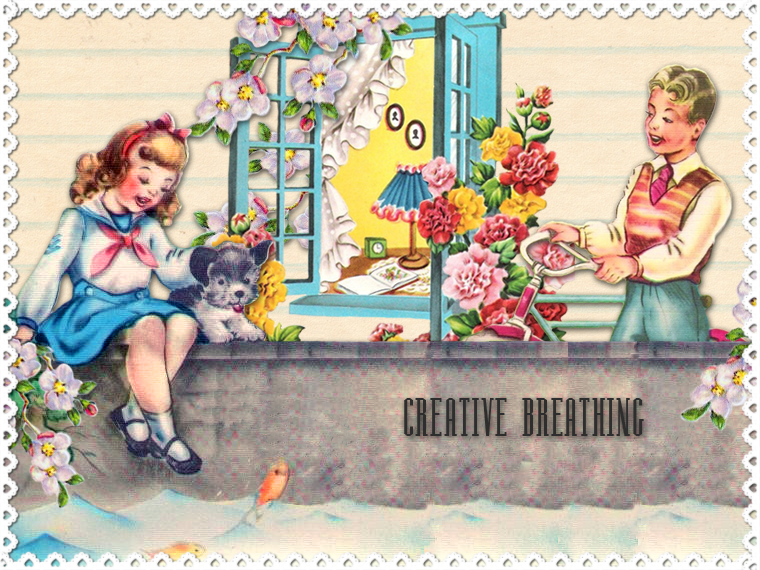 I would love to send you some snail mail/cards while you are recovering! If would like some sunshine through the mail you may e-mail me at chevy49girl at yahoo dot com. I will be praying for a successful surgery and swift recovery! I see that most of us would love to make one! Thanks E! Sweet hugs! I love to see how you do your crafting. It really does get me inspired! You will breeze through your surgery and be running a marathon in no time!! You are amazing! Making something so cute out of 'leftovers'. You are so industrious and unbelievably talented, and such a sweetie to share those talents with us. You inspire the best in all of us. I'll be watching for the cigar box swap. I, too will be thinking about you tomorrow. You will be sorely missed, but you'll be back better than ever very soon. The Fair banner is cute as can be! I'm glad you found a fun project to distract yourself today. With all these prayers and well wishes (including mine) you are sure to sail right through this surgery, and be back on your feet in no time! The banner is too cute!!! And I am collecting things to add to a craft kit to swap! Thanks for the wonderful tip about cutting out the banner. That is one of those slap your forehead tips, like duh why did that never occur to me! Good luck with your surgery I will be thinking of you. Oh that is a lovely idea and a gorgeous combination of colours and textures. Thank you for the tip about cutting a crimped edge thingy! I think I will make a fabric based one for Spring and see how it turns out. Thank you as always for calling in too and interesting message. What did he want that egg for!!! What a pretty banner, you are always so inspiring, Elizabeth! I love it! I'm glad you have a creative and positive way to distract yourself! Love that banner! Your paper crafting is always so neat and nicely put together. Wishing you a speedy recovery from your surgery. This gives me tons of ideas. I'm always so inspired when I visit your blog. Thank you for sharing your talent with us. You have such a unique and pretty style. Love your work. 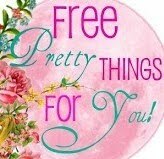 I would also love for you to link up with my Inspired Sunday link party at www.sundayview.blogspot.com. You'll find a lovely group of ladies there. Hope you are feeling better from your surgery! I can't wait to see more of your blog. There was a time that I was coming to your blog and I must say it is always interesting!